HomeAll postsYear 1 TrianglesWhat is the best material to clean up a spillage? What is the best material to clean up a spillage? 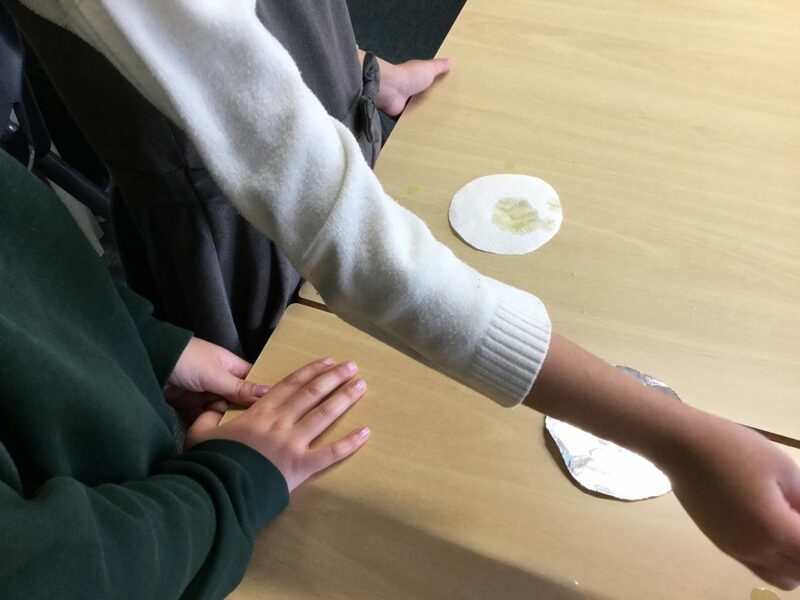 This week in Science the children conducted a Science experiment to see which material would be best to clean up a spillage. 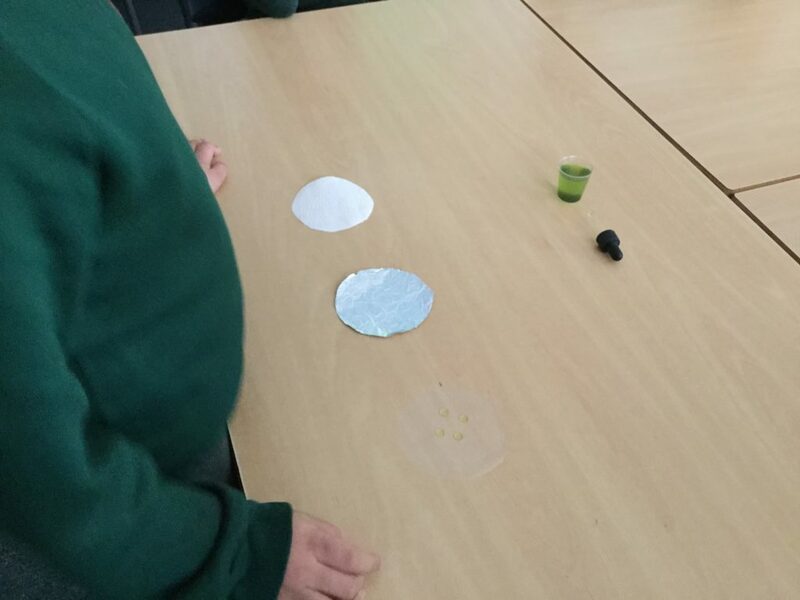 They tested tin foil, plastic and a paper towel. 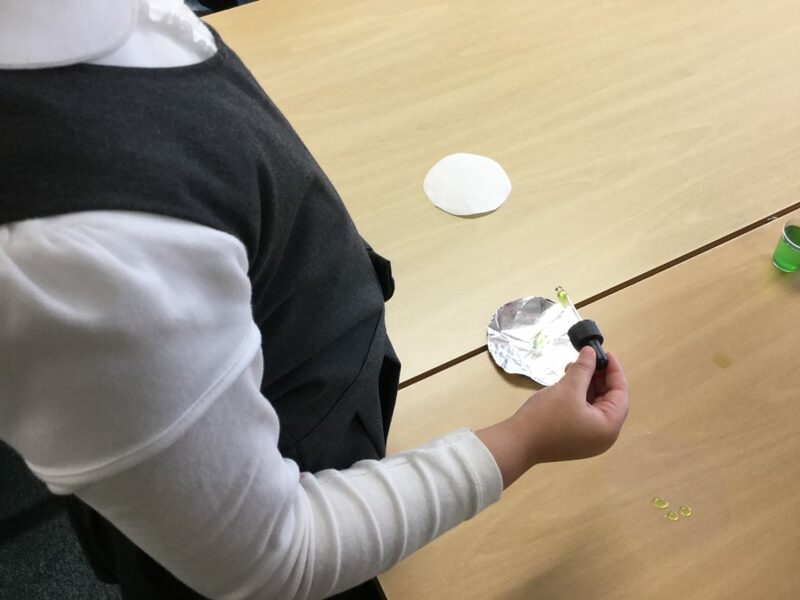 The children were instantly able to recognise that plastic would not be the best as it is waterproof, using their knowledge from their previous experiment. They predicted that a paper towel would be the best. After conducting the experiment, they came to the conclusion that the paper towel was definitely the best as it was absorbent and soaked up all of the liquid.